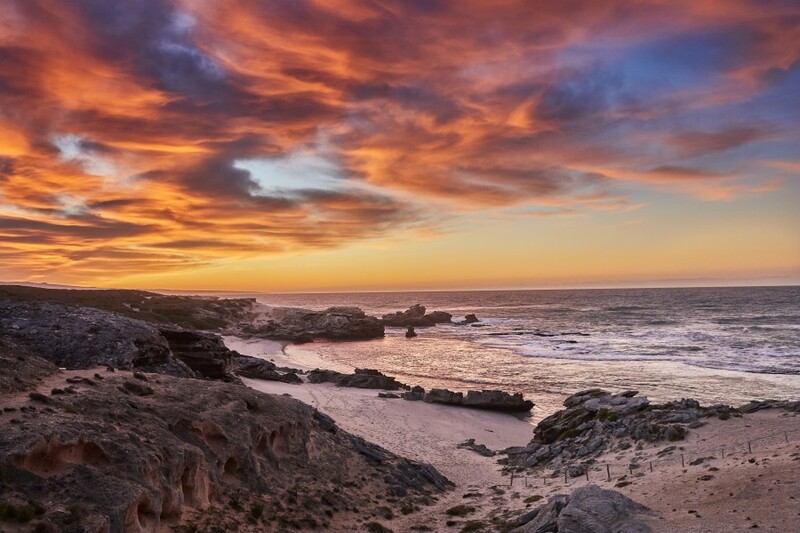 One of the main attractions of De Hoop Nature Reserve is the high number of Southern Right Whales, so named as they were once the right and most profitable whales to hunt. Although there were many hunting sites along the South African coastline, the global whale population has been so decimated that today only a comparative handful of whales return to give birth in the warmer and now protected waters. 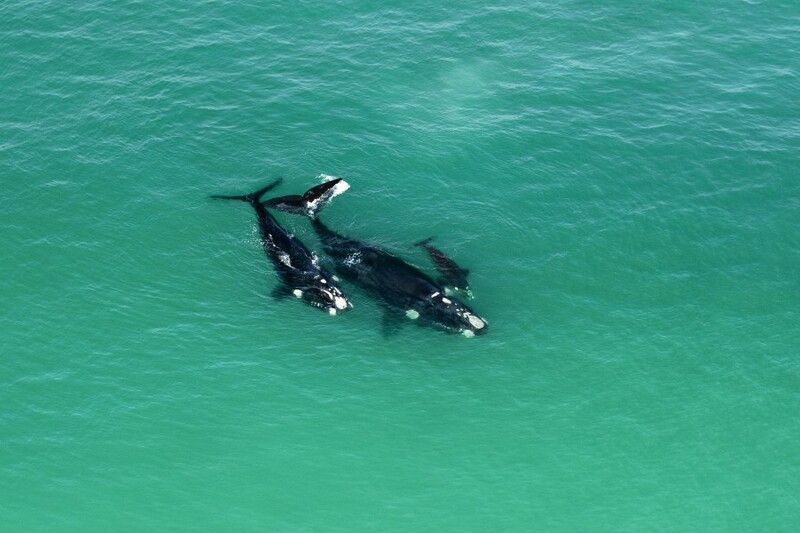 Although whales are often spotted in areas like Hermanus and De Kelders, the highest concentration will likely be at De Hoop between August and December. When we visited, in the third week of August, it appeared as if between 20 and 30 Southern Rights and their calves were in the bay. What’s more, they appeared very keen to entertain us with lob-tailing and frequent full-body breaching and the concomitant splash. 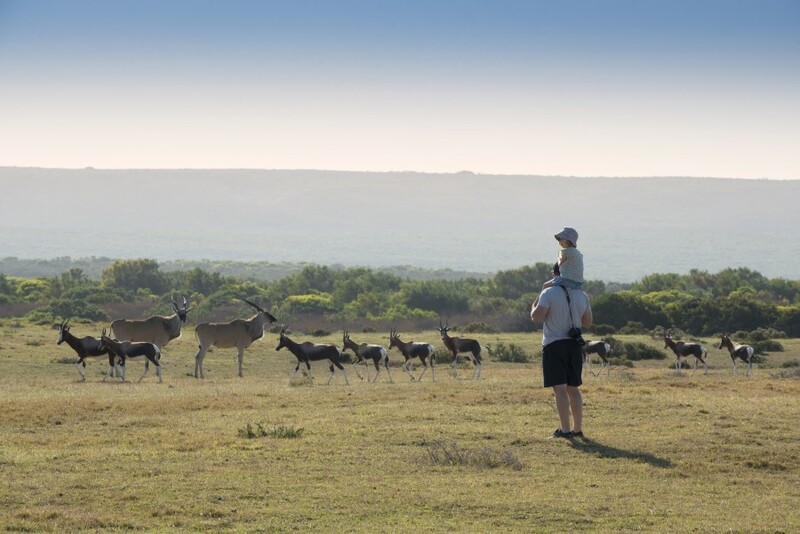 Of course, there’s more to see at De Hoop than just whales like the large number of Bontebok, named after their colourful pelt, Ostrich and the rare Cape Mountain Zebra. There are Eland there too – the largest South African antelope, and a sacred animal to the first inhabitants of the region. 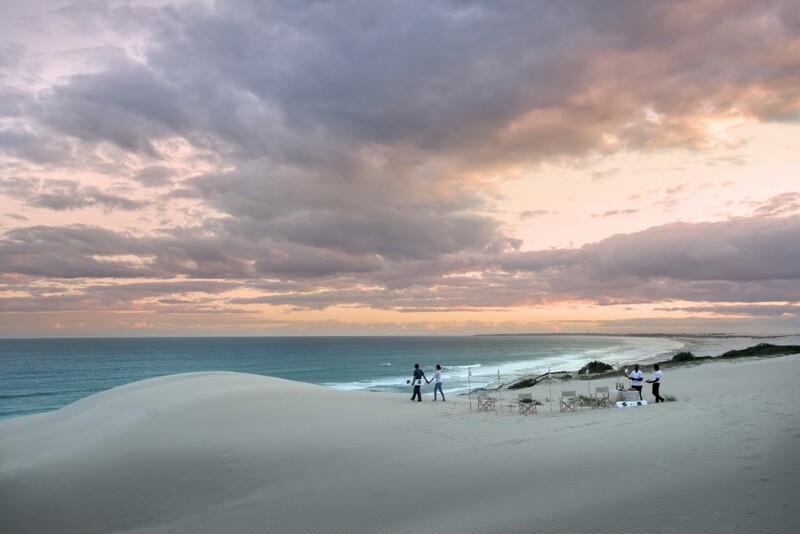 As a South African National Park, De Hoop offers a range of accommodations. 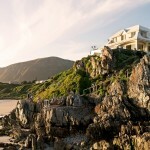 But, if you’re smart, you will be sure to book into either Morukuru Ocean House, if you are travelling en famille, or into one of the five exquisite suites in the Beach Lodge. Separated into two wings, accommodations in the lodge are generous and beautifully appointed. 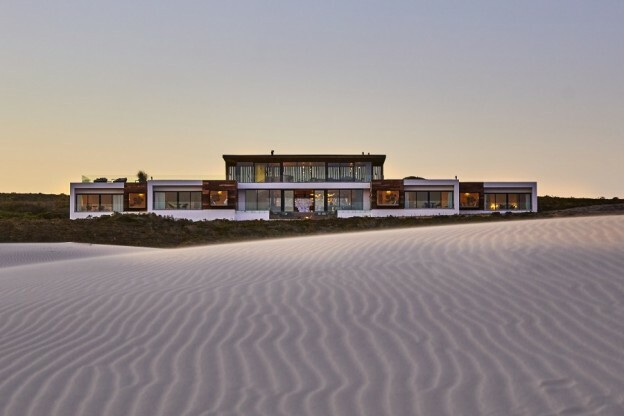 Both Ocean House and Beach Lodge are five-star experiences and you can expect a deluxe time. There are no water restrictions in place (and they run on a low-carbon footprint based on energy efficiencies and best-of-breed materials to best manage a year-round comfortable internal temperature. People concerned about the Western Cape’s recent drought may bath and shower with impunity. Morukuru Beach Lodge is fully off the grid. Electricity is generated by solar panels and they have a backup generator. Hot water is produced by pellet burners. The whole lodge has water- based underfloor heating. There are five 90m2 suites, and all suites have an oversized bay window which doubles as a third bed (the extra large king bed is two 3/4 beds placed together). If ever a bed were too large, this one is it. 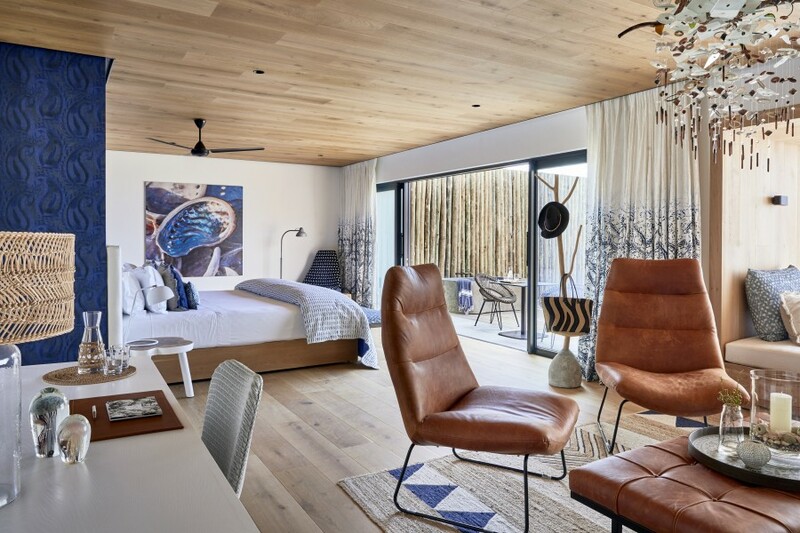 Although many fixtures and furnishings are imported from Holland and Europe, one of South Africa’s premier designers, Haldane Martin has his work featured throughout the lodge. 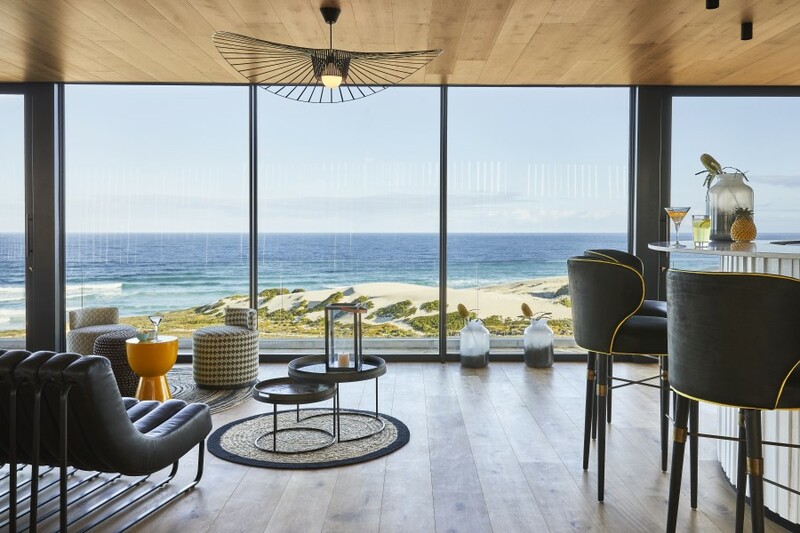 The Shongololo “couch” named after the African word for centipede, is the main feature of the upstairs bar area, a glass cube with 360-degree views of the beach and wide sea beyond. Our hosts, Corné and Kayleigh are a couple who plan to marry soon. They, together with two other management couples rotate so there is always a management couple living on the premises. Corné, a former competitive martial arts cage fighter, knows his whales as well as the fynbos, the plant biosphere that surrounds De Hoop, and plenty more as you will discover. 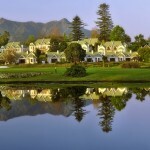 Two activities per day are included in your stay as are breakfast, lunch, dinner and sundowner drinks. The choice of activities might include sand-boarding down a dune which is much more fun and easier than you might imagine. There is even someone who will carry the board back up the dune for you. Now that’s service. The set up for sundowners on this occasion was right at the top of the dune. Gins and tonics and your tipple of choice are served as the sun dips and, as if taking advantage of the orange-glow spotlight, the whales join in in the festivities. On no occasion should you miss the beach walk. It is about three hours and a slow careful walk over the low-tide sandstone rocks in this protected marine reserve. They have a large supply of knee-high rubber wading boots and also rubber water shoes when it is warm enough to swim. As a snorkelling hot spot, they have everything you might need to explore underwater. This was a wonderful opportunity to see so many endangered abalone in the rock pools along with a myriad starfish and other molluscs. As arresting this was for we adults, I can only imagine how enchanted children might be exploring this numbly rocky shore and the shallow rock pools. There are heated swimming pools at both Ocean House and Beach Lodge but Morne says that in summer rocks in the bay radiate heat and the sea temperature is balmy and wonderful to swim in. 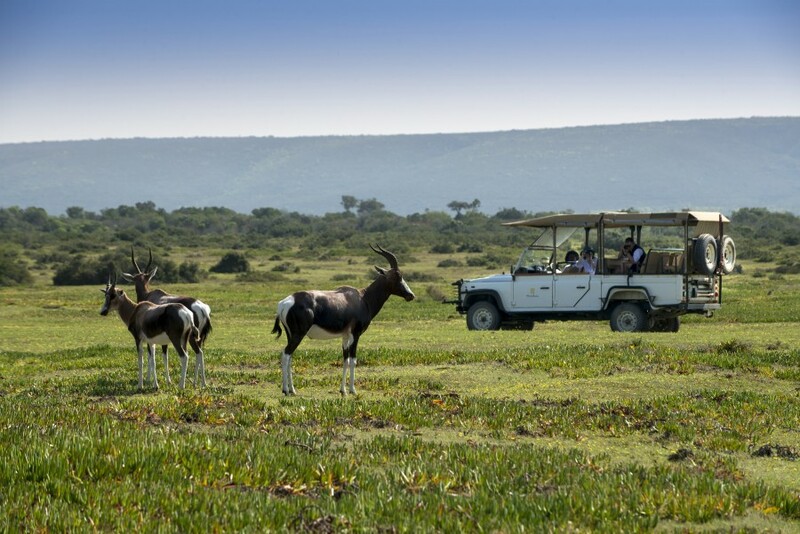 Game drives and short walks among the fynbos are also included optional activities. 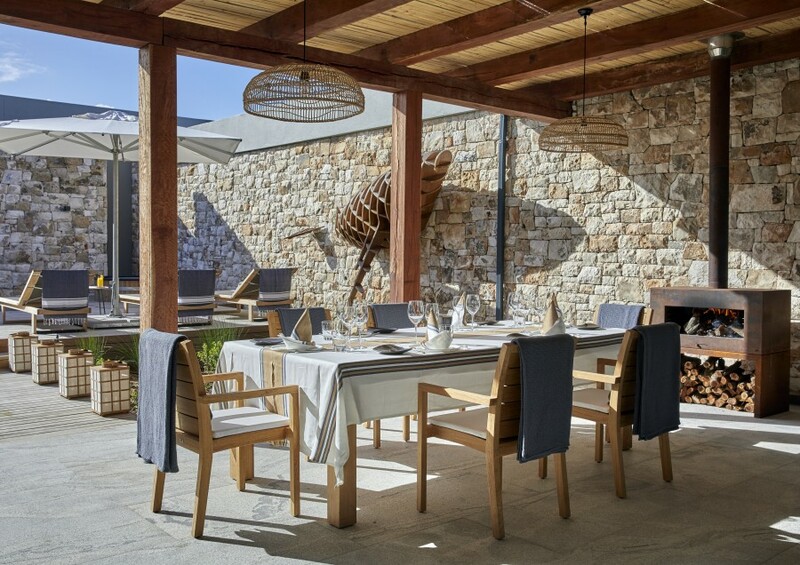 As a villa guest, you have exclusive use of the entire staff complement and fine cooks to prepare meals to your taste. 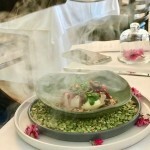 As a Beach Lodge guest, menus for lunch and dinner are presented at breakfast. Food was delicious and well prepared and my dietary restrictions were well accommodated. The stand-outs though included their staff’s preparedness to offer wonderful activities whatever the weather and, more importantly, in an instant they make you feel so part of their family that you will never want to leave. 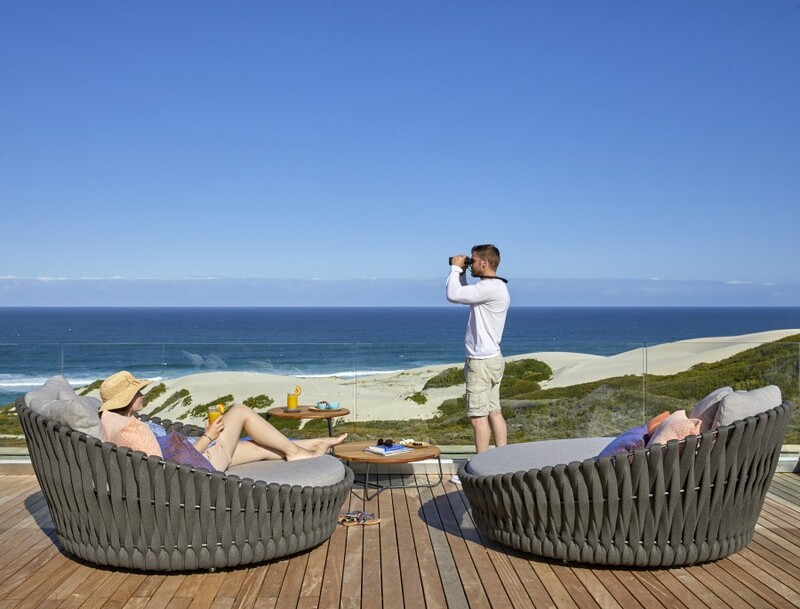 Morukuru Beach Lodge, De Hoop Nature Reserve, Western Cape, South Africa. Suites from about £427 a night inclusive of meals and activities.